A Marvel of Engineering and Innovation. 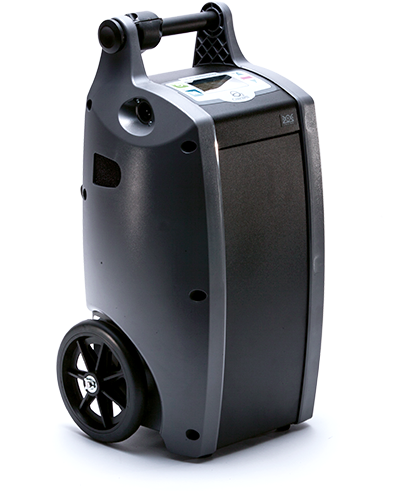 The Oxlife is the world’s most efficient and reliable portable oxygen concentrator. The only portable oxygen machine proven to hold up for 24/7 patient support, the Oxlife Independence® gives you the security of reliable oxygen anywhere. Enjoy the freedom of safe, reliable, and limitless oxygen with the world’s first smart POC. The Oxlife Independence delivers over three times the oxygen of the leading POC. Superior design means our device will support you no matter how your needs change. With the longest battery life in class, the Oxlife Independence gives you the freedom to go anywhere. Smaller batteries make longer excursions easier than ever. With an integrated cart and handle your Oxlife Independence is easy to use. Operates in the car and fits under an airplane seat. Continuous flow for sleep. Go anywhere, anytime.